Chicken essence is very popular in international market. Our chicken seasoning granulating drying machine is designed for producing high quality chicken essence with high sanitary standard and scientific production processes. In order to meet customers' different demands, we can offer chicken seasoning production machines with different specifications, thus allowing customers to construct chicken seasoning production lines with different production flows. A great variety of machines are utilized for chicken essence production. Following are some recommended types of chicken seasoning granulating machine and drying machine, etc. for use in chicken seasoning production. It is a small scale chicken seasoning production machine with a production capacity of 200kg per hour. It is composed of 30B crusher, CH-200 mixer, ZL-300B rotary granulator, ZLG-4.5×O.4 vibration fluidized bed dryer, and FS-O.6×1.5 vibration screen. This chicken seasoning production line is easy for transportation and installation. It requires less investment and is ideal for individual users. In order to help users know well how to operate the chicken seasoning production line, we can offer technical training, technical support, and so on. Belt dryer is one of the commonly used chicken seasoning production machines for chicken essence production. Raw materials are distributed uniformly on the belt and stay in static status during drying process. This makes sure there is a high qualification rate for the chicken essence granules. The belt dryer is large in length, so it requires large space for installation. We recommend using belt dryer in combination with our YK-160 (200) × 1200 (1600) type granulating machine, so as to reduce production steps and improve production efficiency during chicken essence production. This granulator has long rollers and can finish granulation, grinding, and material distribution functions. It has high production capacity and compact structure. This chicken seasoning granulating machine can be used in combination with drying machine to create a chicken seasoning granulating drying machine. The rotary granulator is directly connected with a motor reducer. It offers low speed output, high productivity and stable operation. During chicken seasoning production, it can be used for making chicken powder into granules. 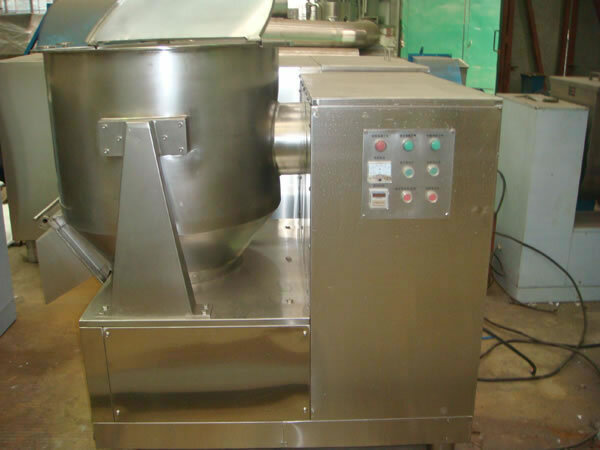 The high speed mixer can be used for mixing dry powder, slightly-moistened powder, and small granulated materials. It can be used in combination with traditional groove mixers for chicken seasoning production. The swing granulator, one of our range of chicken seasoning machines, is designed with a compressed air groove for its shaft end seal. It takes advantage of compressed air to prevent damage to shaft end seals, thus ensuring reliable sealing performance. 2. 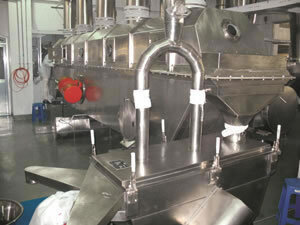 Nozzle is utilized in the mixers for ensuring uniform mixing. CH mixer, a typical chicken seasoning production machine, is ideal for mixing solid materials with liquid material. In order to ensure uniform mixing between solid and liquid materials, it is designed with nozzles to spray liquids onto solid materials. The vibration fluidized bed dyer, also a kind of commonly used chicken seasoning production machine, is designed with an easy-dismantling structure. So it is easy for cleaning, which ensures the sanitary standard during chicken seasoning production process. We can design and manufacture chicken seasoning production machine according to customers' demand, whether that is chicken seasoning granulating machine, chicken seasoning drying machine, or mixing machine.